I am a big believer that the more you learn about something the more you become part of it; essentially it becomes part of you. This is how I fill about my home province of Nova Scotia. I have spent my entire life exploring the lesser known regions of the province and have discovered some truly amazing natural wonders, and in the process have learned a great deal about myself along the way. It’s now time I share some of these places with the world, I simply could not keep them to myself any longer. With nearly 100,000 views since first writing “15 natural wonders of Nova Scotia” and an overwhelming amount of response, I have put together a sequel which is full of breathtaking sites. 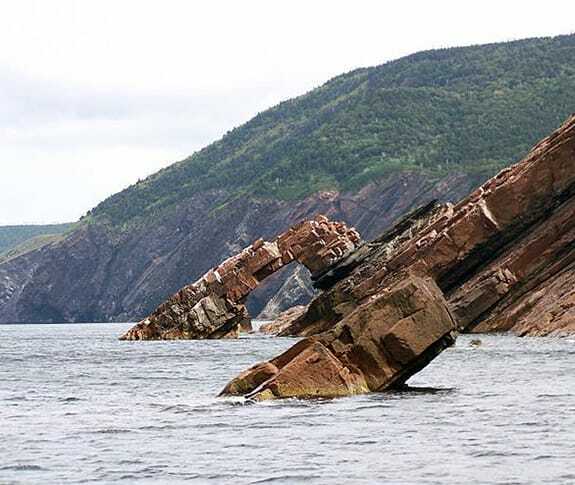 Without further ado, here’s another list of natural wonders in Nova Scotia that showcases the geological and geographical diversity of this stunning coastal corner of Canada. 1. 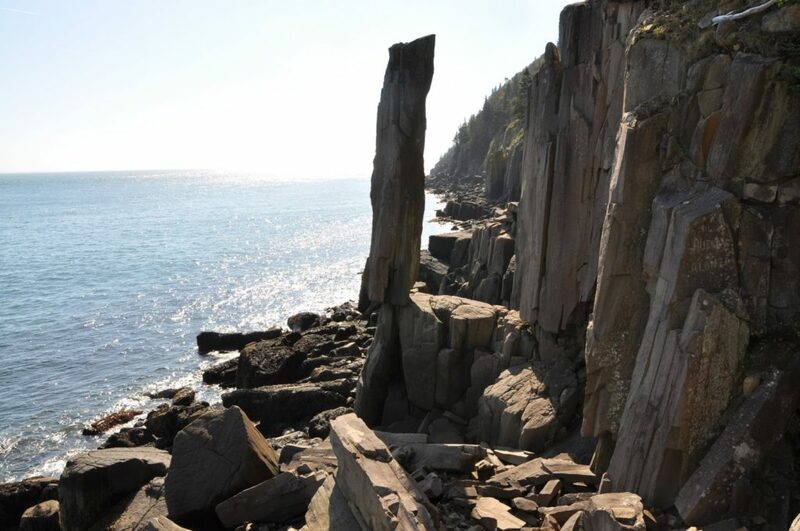 Balancing Rock – In many forms nature defies logic and along the Digby Neck, there is certainly one such site that stands alone – pun intended. It’s there that stands a vertical volcanic column known as the “balancing rock” which has captivated locals and tourists from around the world who marvel at this rocks resilience and determination to not crumbled to the sea like many before him. 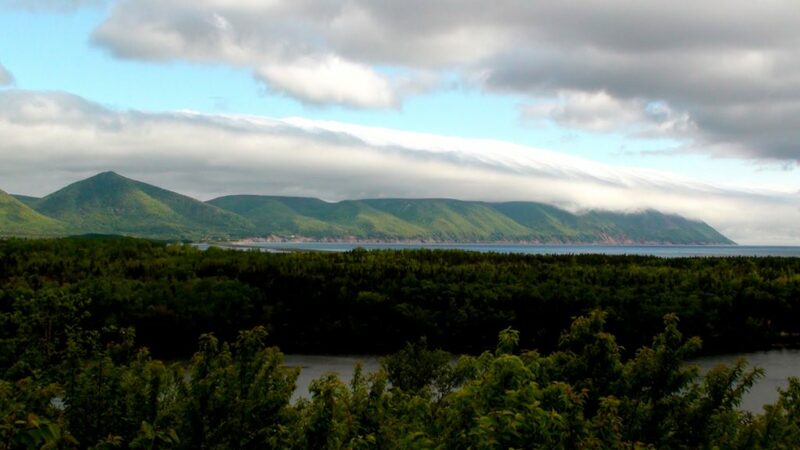 This coastline was formed millions of years ago by heavy lava flows spewing up from the ocean floor to create the North Mountain range we know today which stretches from Cape Blomidon to Brier Island. While many of the Basalt columns and other softer rocks have eroded away, the balancing rock continues to stand the test of time. 2. 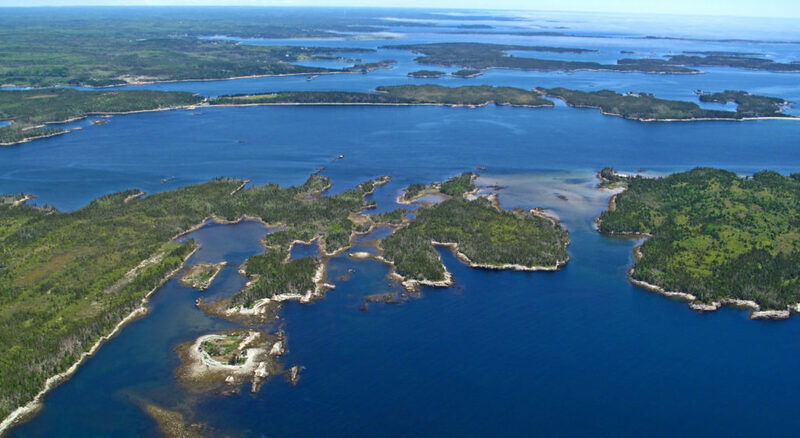 100 Wild Islands – This archipelago of pristine islands have been featured in Canadian Geographic, Adventure Kayak, Saltscapes Magazine and the Wall Street Journal, yet most locals to the province have never even heard of this natural gem. With forests as green as a golf course and waters comparable to the Caribbean in terms of color and clarity, an abundance of flora and fauna, temperate rainforests, coastal barrens, saltmarshes and marshlands, these islands have become one of North America’s most significant conversation projects in many years thanks to the folks at the Nova Scotia Nature Trust and many generous local supporters of this ecological treasure. 3. 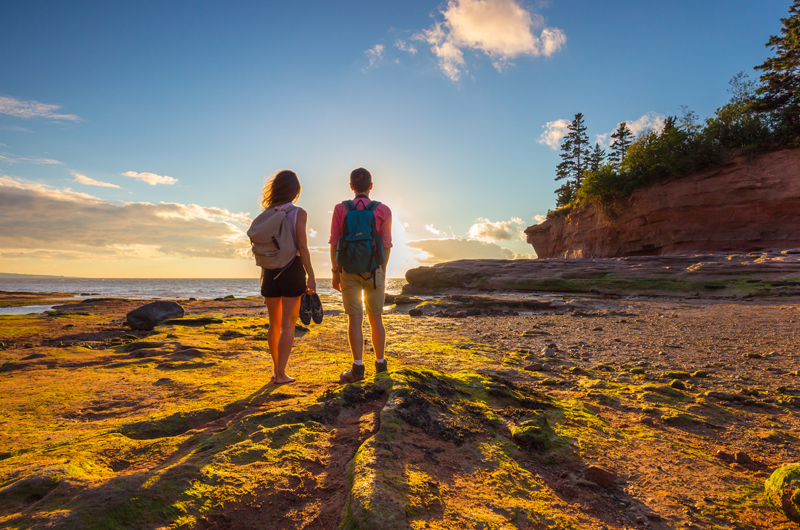 Burntcoat Head – It’s hard to fathom the incredible amount of water that fills and empties into the Minas Basin and the Bay of Fundy until it’s witnessed with your own eyes. Nowhere is this more evident than at the site of the world’s highest recorded average tides at Burntcoat Head. With over 100 billion tons of sea water rushing in and out of the bay daily, the seascape transforms roughly every six hours and at low tide one can explore the ocean floor where fish and other marine life were swimming just hours before. With impressive red sandstone cliffs and sculpted sea stacks, the area of Burntcoat Head is listed as having the world’s highest tidal range in the Guinness Book of World Records with an average tide of 47.5 ft and an extreme tide at 53.6 ft when the gravitation pull on the earth is at its strongest during certain times of the year. 4. 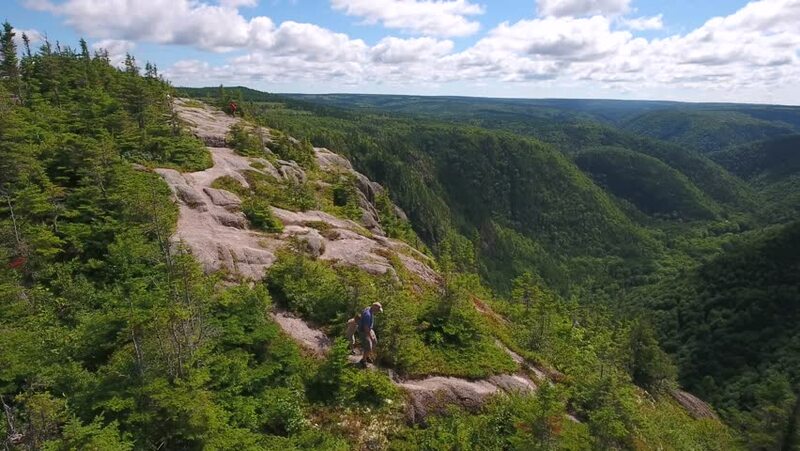 Cape Clear – The Cape Breton Highlands have no shortage of amazing look-offs and this lesser known location can easily compete with the ever popular viewpoints in the nearby national park. Overlooking a designated wilderness area, the rolling hills form a v-shaped valley which has been carved out by the Margaree River. Located deep in the highlands, towering cliffs provide a sweeping view of green grandeur in the summer months and a palette of colors from crimson red to golden yellows during our fall foliage, which at this time of year it’s hard to find a more inspiring place to unwind in the whole of Cape Breton. 5. Great Falls – Standing at nearly 90ft in a single drop, these falls located deep in the Cobequid Hills are reputed to be the tallest waterfall in mainland Nova Scotia. An impressive sight where the waters of the East Branch Moose River shoot out from the looming cliffs in a burst of spray creating a fan-shaped waterfall before reaching a deep dark pool below. The gorge in which these falls are located is equally impressive with vertical rock walls which reach hundreds of feet high into the sky. After a decent rain one of the surrounding cliffs resembles a weeping wall and on numerous occasions, I have spotted bald eagles soaring over the treetops of the deciduous forest. 6. Kraken’s Cave – Even after speaking with locals and referring to topographic maps I was unable to determine if this cave has an actual name so I came up with one of my own – so I don’t want to hear any arguments! I think the name fits this incredible natural sea cave quite well. The sheer size alone might convince you, but take into consideration the shape of the cave and it’s a no-brainer this was the home of a sea monster – or maybe it still is? 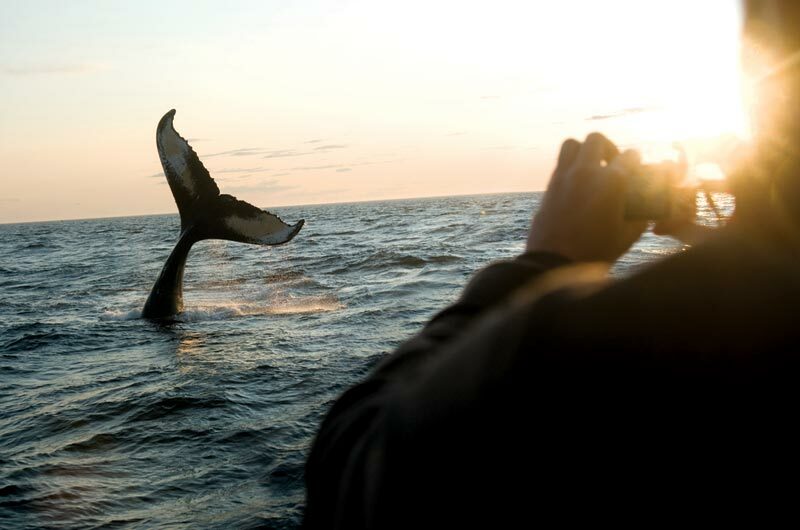 Only accessible by boat, few people have seen the cave apart from local fisherman and folks taking a whale watching tour with one of the operators in either Cheticamp or Pleasant Bay. If you’re lucky, you may have the opportunity to enter the cave if traveling by way of a zodiac, but be weary of the Kraken who may be lurking nearby. 7. Medford Beach – With a little imagination you may be able to convince yourself you are in Arizona or Utah, apart from having the ocean at your side. 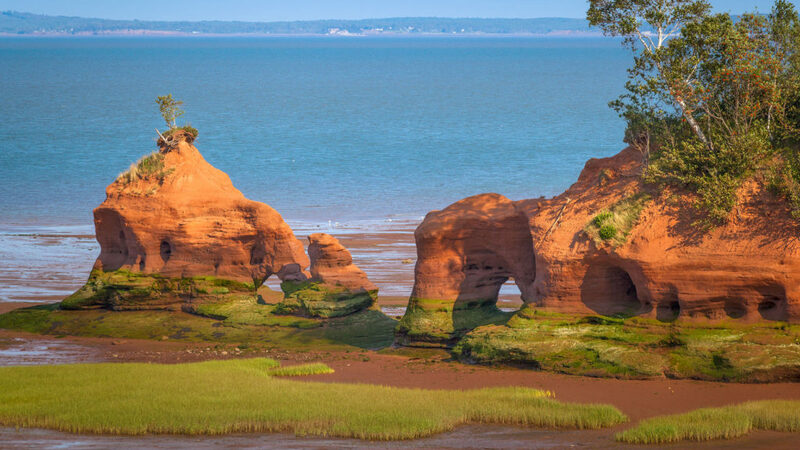 The arches and sea stacks at Medford Beach are an impressive sight; carved away from the Bay of Fundy’s high tides. During high tide the beach is inaccessible, but come low tide the coastline reveals itself which small sea caves and peculiar holes in the cliffs which protrude out into the bay. With the power and stress the tides have on these cliffs, these natural formations are bound to crumble to the sea sooner or later which was the case for one for famous rock formations in New Brunswick at Hopewell Rocks. 9. Moose River Falls – The Cobequid Hills were once promoted as the waterfall capital of Nova Scotia and for good reason. Many of the falls located in these hills can be merely cascading brooks or rivers, but many are raging giants. These sets of falls are roughly 60ft high and can be found in some of the most rugged terrains in the entire province. The falls have a unique shape which starts with a single drop and fanning out over the rock face before separating into two falls before reaching the bottom and continuing downstream. With no designated trail and very steep cliffs, the falls are a hidden gem with only a handful of locals who know of their whereabouts. 10. 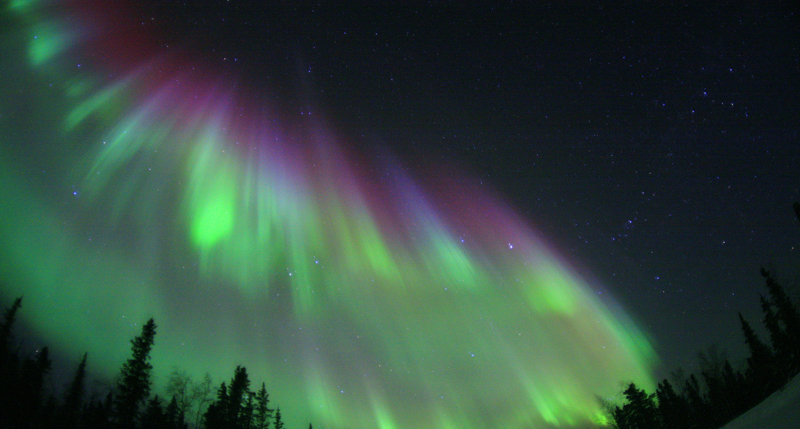 Northern Lights – Although predominantly seen in the higher regions of the Arctic, here in Nova Scotia we are occasionally blessed with the truly magical spectacle of the Northern Lights or Aurora Borealis – named after the Roman goddess Aurora and what the Greek refer to as the north wind “Boreas.” In recent winters we have experienced some colder than usual temperatures, producing solar charged electrons and protons which seem to dance in the northern sky in a display of colors that has to be seen to believed. In my opinion, this is one of the greatest displays in nature found anywhere on earth and should be on anyone’s bucket list who enjoy the great outdoors and all it has to offer. 11. White Point – In a province which is known for its coastline, it’s hard to pick a favorite seascape, but this place in certainly near the top of my list of favorites. Jolting out into the Atlantic like a giant hand with fingers of pink granite sea stacks, it’s oh so easy to lose yourself in thought just staring out into the crashing sea below, watching the various seabirds bobbing up and down on the rolling sea or marveling at the ruggedness of this unique peninsula. The best time experience this easy coastal walk is during sunset. It’s then that the mica found in the pink granite cliffs reflects the setting sun and aluminates the area, giving it an almost mystical feel. The view over towards the distant northern highlands is an added bonus and the tip of the peninsula is frequently visited by numerous birds including bald eagles. 12. 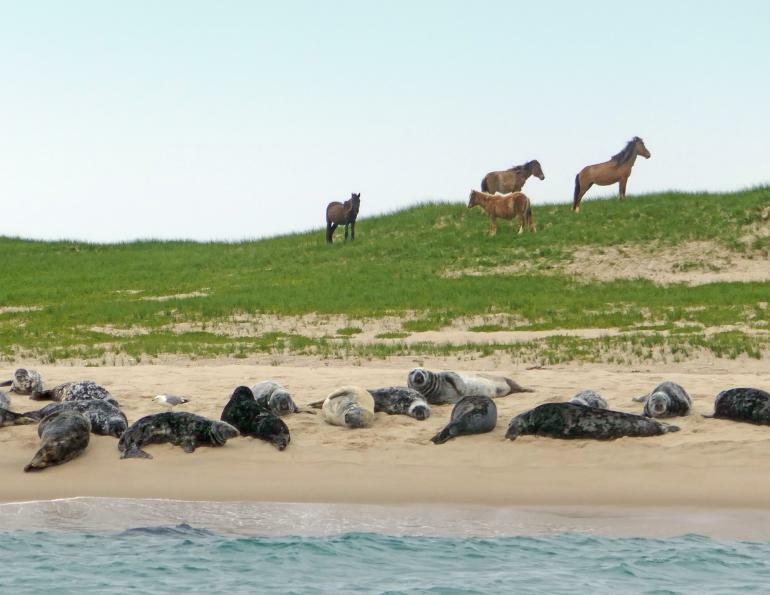 Sable Island – Sitting 300km southeast of Halifax is a small sandy island which is home to wild horses, thousands of gray seals and approximately 5 residents – yes you read that right! These residents are made up of scientists and researchers who study the weather, wildlife, and geography of this unique island which became a National Park Reserve in 2013. It has been widely known as the “graveyard of the Atlantic” with an estimated 350 vessels that have sunk around its sandy shores. The mystic and legend of this island have been recognized through song, poetry, writing, photography exhibits and film for generations. 13. Toblerone Cave – There are a number of caves located throughout Nova Scotia, most of which are found in areas of gypsum and other soft stone. This cave, however, is not one of them and what makes it unique is the entrance is guarded by a rock that is shaped like a Toblerone bar flipped upside down. 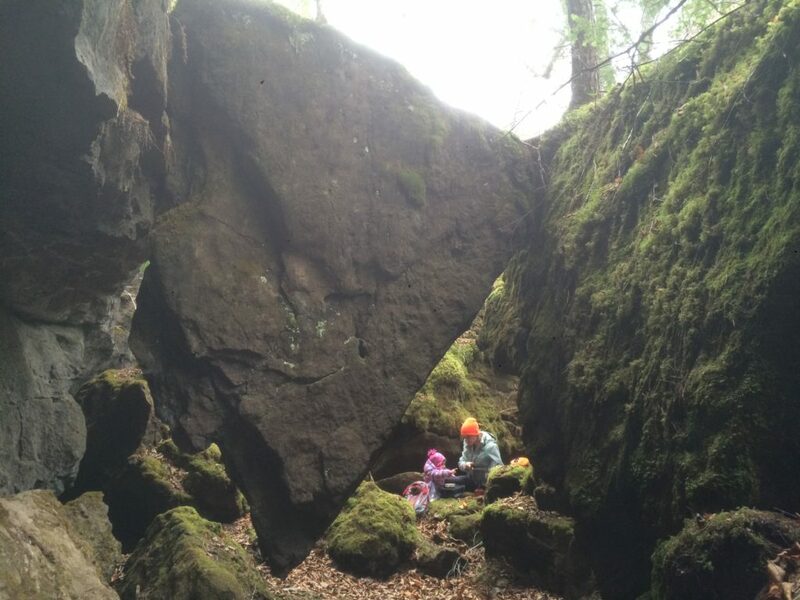 A series of small caverns and tight crawl spaces, many of which come out along a river makes this cave a miniature playground for adults. Certain sections of the cave are actually fractures in the rock which you can squeeze through with natural light coming in from the open ceiling. In years past there was once a small population of brown bats that called the cave home; however, since 2013 there have been fewer sightings since the outbreak of the white-nose syndrome disease. 14. Wilkie Sugarloaf Mountain – This prominent peak is one of question and mystery. In the year 1497, this is reputed to be the area where John Cabot (Giovanni Caboto) landed his vessel with 20 other men to claim the first European landing on North American soil since the Vikings some 500 years earlier. The mountain peak at this time was used as a reference to guide them safely into Aspy Bay and landing on the nearby beach. The mountain was named for its distinct pyramid shape which resembles a loaf of sugar as displayed in local general stores in days past. Part of the northern highlands and the Aspy Fault, this mountain peak stands alone in a range where most of the mountains have been rounded down from erosion over millions of years. 15. The Hammer Sea Arch – This northern coast of Cape Breton never fails to amaze. With sea cliffs rising hundreds of feet high, waterfalls pouring down from the highlands and an abundance of sea life, this place is truly remarkable. 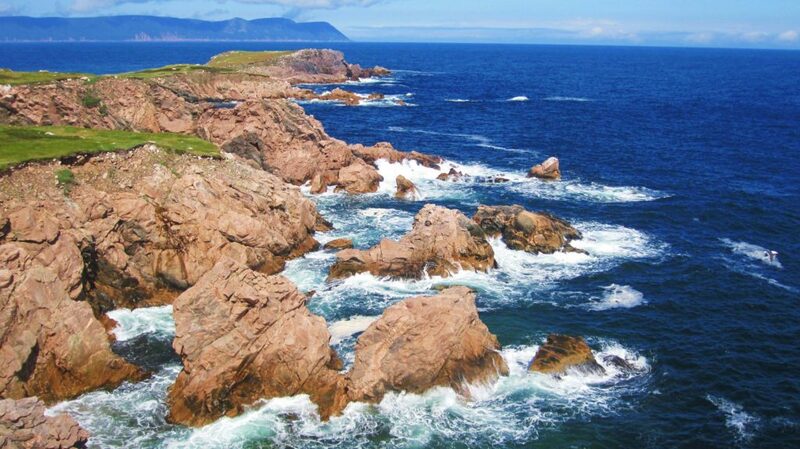 As you round the most northern tip of Nova Scotia you can’t help but marvel at the massive arch known as the “Hammer.” The pink granite cliffs rise from the sea at a forty-five-degree angle as the rock slopes from the uplift of these coastal mountains which formed hundreds of millions of years ago. Erosion over the years has caused many rocks to slide into the sea below leaving behind this arch which is large enough to pass through with a kayak. The sheer isolation of this natural wonder means it’s only accessible by boat or kayak. Hi there! Someone in my Myspace group shared this site with us so I came to give it an appear. I’m definitely loving the details. I’m bookmarking and will likely be tweeting this to my followers! Outstanding blog and great style. Aha! I just discovered this second installment. Great to see places I love mentioned. (I had suggested a couple of place at the end of your last post but you were a step ahead of me. haha. But now you need ANOTHER 15 places to highlight. Keep up the great work! We are going to Nova Scotia in October with another couple. We are both celebrating 30 years of good marriages. This was helpful. We are staying at White Point so am really looking forward to it. Thank you so much this was very helpful and beautiful. G’day, Awesome images. I want to read more of your articles. Hike on. I really enjoy your artlice! I am a mad keen hiker so these blogs are really appealing to me. Thanks.